Japan's Cabinet yesterday approved new five-year defence guidelines, in which its two Izumo-class helicopter destroyers will be modified into the nation's first aircraft carriers since World War II. Both Defence Minister Takeshi Iwaya and Chief Cabinet Secretary Yoshihide Suga stressed the move was not in breach of Japan's post-war pacifist Constitution, and does not mark any shift from its exclusively defensive posture. Mr Iwaya told reporters after the Cabinet meeting: "Chinese activity in the East and South China Seas have been gaining pace at an unimaginable speed. With our security environment changing at such a rapid pace, it is necessary for Japan to review our defence guidelines." The new plan marks a significant upgrade to Japan's defence capabilities, as it seeks to form a "multi-dimensional joint defence force" to cope with an increasingly hostile security environment. Among the key threats identified in the plan are the assertiveness of China's and Russia's militaries in regional waters, a North Korea that remains nuclear-armed, and other emergent areas such as cyber, outer space and electromagnetic waves. Big ticket orders from the US - which despite being a security ally has constantly assailed Japan for its huge trade surplus - will include 27 F-35A and 18 F-35B fighter jets, and two Aegis Ashore anti-ballistic missile systems. The orders are over five years, starting next April. The Defence Ministry will also work on developing Stand-off Missiles that can strike sea-based targets up to 900km away, hypersonic guided missiles that can evade radar networks, and other electronic warfare capabilities. These measures contributed to a record five-year defence budget at 27.47 trillion yen (S$335.3 billion), about three trillion yen more than in 2013. With the new guidelines, Japan's two Izumo-class vessels - named Izumo and Kaga - will be modified to carry F-35B fighter jets, which are short take-off and vertical landing aircraft that Japan will add to its arsenal for the first time. The two ships, each 248m long and weighing about 27,000 tonnes, are as big in size as Japan's aircraft carriers during World War II. Mr Iwaya stressed the two vessels will continue to perform their key defensive roles in anti-submarine warfare, disaster relief, as well as in patrolling waters around Japan. "Fighter jets will be deployed only on an operational necessity basis and will not be permanently embarked on the two ships," he said, adding that Japan should not be judged as being an offensive power solely by the capability of its arms. Even after their conversion, the Izumo-class vessels will be designated as multi-purpose helicopter destroyers, and will not have any permanently assigned F-35B squadron. 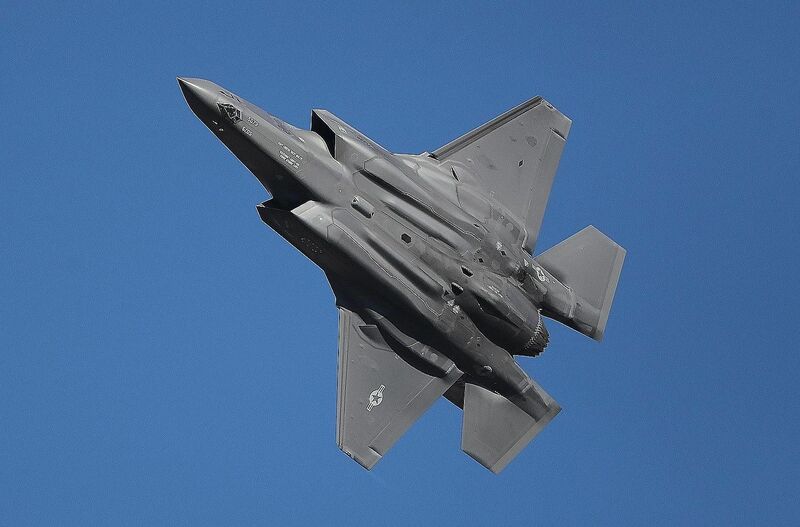 By March 2029, Japan will come to own 147 F-35 fighter jets, comprising 105 F-35A and 42 F-35B aircraft. These include the 45 new jets that Japan is committing to buy in the next five years and another 42 F-35A jets that have been ordered. The fact that Japan has only two Izumo-class vessels hinders them from being used strictly as a strike platform, Dr Narushige Michishita from Japan's National Graduate Institute for Policy Studies said, as this would blunt their defensive capabilities. "But by making it possible to also operate fighter aircraft, the Izumo gets new added air defence value as it can intercept both bombers that are trying to attack as well as other surface ships."